Having a diverse and inclusive workplace is a priority for most organizations. And like most priorities, it takes a team and a set of goals to address diversity and inclusion (D&I). 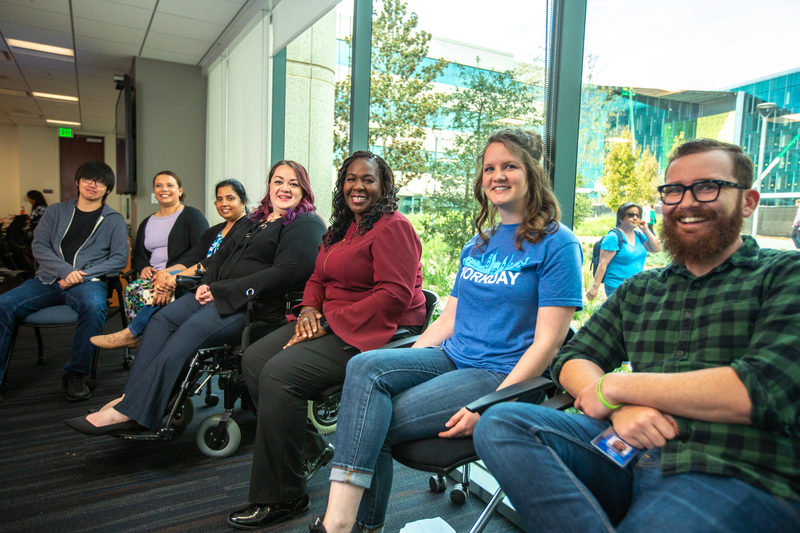 While those are good and necessary things, there’s something even more fundamental that’s required of everyone, says Workday Chief Diversity Officer Carin Taylor. In order to make stronger connections with each other, we need to share our experiences—including the difficult ones. 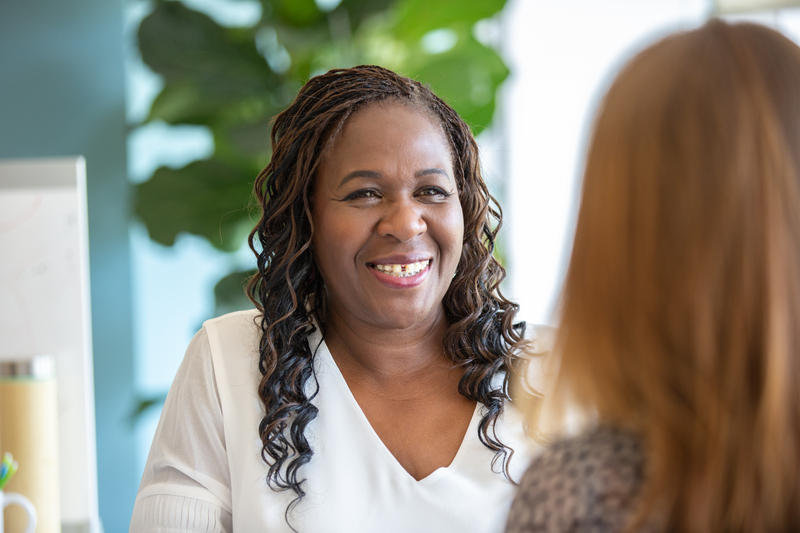 Taylor, who joined Workday as our first chief diversity officer in December 2017, acknowledges that starting the conversation isn’t always easy. As an icebreaker, she’ll openly share her own experiences, including reactions she’s gotten when traveling throughout Asia. While in China, for example, some locals—who perhaps had never seen someone with her skin color—would stop and stare, touch her skin, and even ask to take photographs with her. Years later, that experience and others made her realize that D&I initiatives shouldn’t focus on minimizing our differences. Instead, they should be about acknowledging, understanding, and ultimately, accepting and celebrating all of our differences, she says. Carin Taylor and others participating in “Stepping Out of Your Comfort Zone in the Workplace,” part of a speaker series hosted by the Women @ Workday employee belonging council. That’s why Taylor spends a lot of time meeting and talking with Workday employees across the company, leveraging her natural warmth and openness to get people discussing things that can feel uncomfortable. She rallies everyone around the concept of “VIBE”—value inclusion, belonging, and equity for all. She also reaches out online, frequently using our companywide collaboration tool to communicate with employees, connect people with similar interests, and share information on events and resources for D&I. Taylor recently led our first Global Employee Belong Council Leadership Summit, bringing together representatives from more than 20 employee belonging councils—The Talented Tenth, Workday Pride, Veterans @ Workday, and Women @ Workday, to name a few—to share ideas and have frank discussions with one another and Workday’s leadership team. Growing that awareness goes beyond Workday. 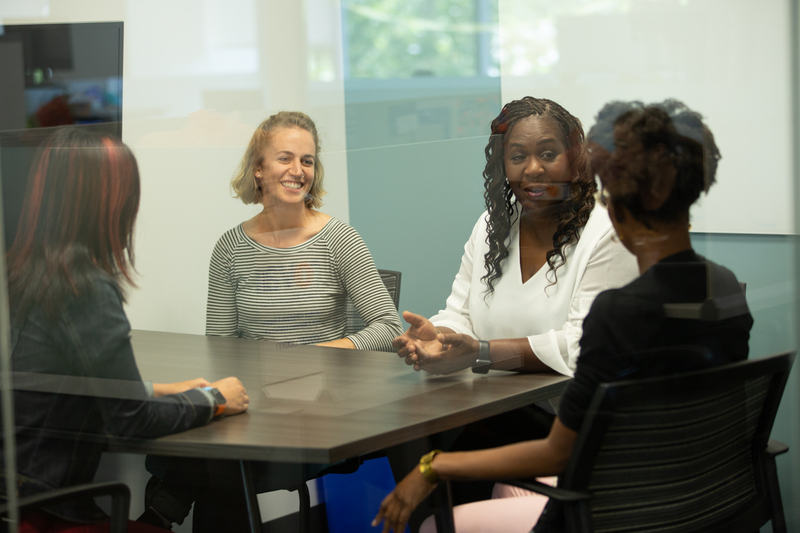 From Sept. 26-28, Taylor will join more than 180 colleagues at Grace Hopper Celebration, the world’s largest gathering of women technologists, including three Workday employees who will speak at the event. She’ll also be at Workday Rising, Oct. 1-4. Taylor will serve as a panelist in the Business Leader Forum, “Endless Possibilities: The Power of Diversity and Inclusion,” and at the “Equality Now—How We Can All Be Change Agents: Women in Leadership Luncheon,” and will participate in a podcast with Mike Dillon, chief diversity & inclusion officer at PwC. Speaking of journeys, Taylor’s nearly started in a car—her mother went into labor while her parents were driving through Salinas, Calif., about 15 miles from their home in Seaside (they did make it to a hospital before she was born). Most of her childhood was spent in San Jose, Calif., where she grew up with three brothers. Nowadays, Taylor’s love of sports is inclusive of both sides of the San Francisco Bay—she’s a big fan of the Oakland Raiders and the San Francisco Giants. She played softball for over 30 years, coached her two daughters in the sport, and has served as a coach and board member for the Santa Clara Police Activities League, which runs athletic programs for kids. “I am extremely passionate about coaching children, and giving them the life skills they need to grow up to be productive members of society,” says Taylor. Taylor joined Cisco in 1994 to work in customer service and grew her role there over the next 17 years, working in management and leadership roles in finance, sales operations, human resources, and customer service, often traveling throughout Australia, Asia, and Europe. Carin Taylor previously held diversity and inclusion leadership roles at Cisco and Genentech before joining Workday in late 2017. 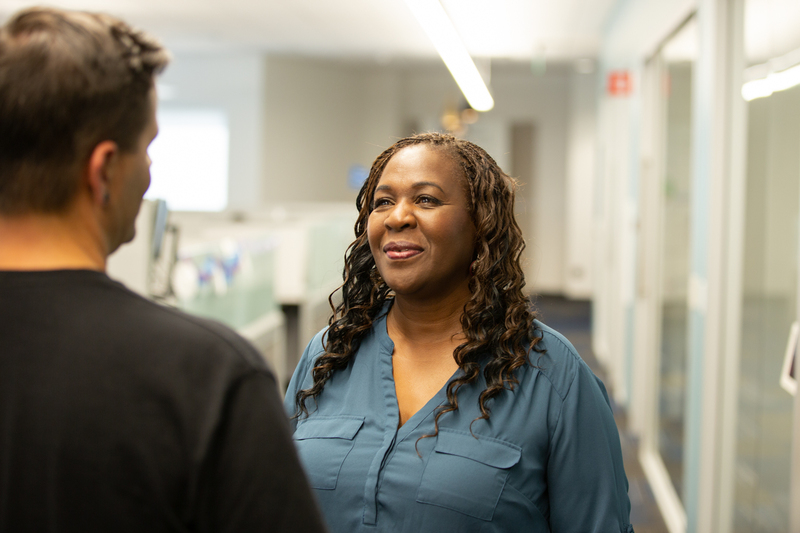 It was while at Cisco that Taylor started on what she describes as her own journey into understanding D&I, following an experience with unconscious bias. But here’s the twist: It was unconscious bias Taylor says she had toward someone else. Taylor was at a sales conference with about 120 people, attending a day-long session on diversity. Yet she found it hard to miss the irony: A man was leading the discussion, and across the audience, she counted only about 10 women and one other African American besides herself, who was male. It dawned on Taylor she had judged the conference speaker as someone who had moved effortlessly through life on the privilege of being white and male, never considering that he had experienced his own struggles throughout life of feeling like he was different. Our first Global Employee Belong Council Leadership Summit, led by Carin Taylor, brought together representatives from more than 20 employee belonging councils with Workday’s leadership team. A few years later, in 2006, a Cisco coworker suggested Taylor consider a new position posted within D&I. Like other Silicon Valley companies, Cisco didn’t have a large population of African American employees, and Taylor was concerned she’d be seen as the poster child for diversity. “I said no way! I had my old hang-ups about being African-American, being a woman, and growing up feeling different.” But the coworker kept encouraging her, so she applied—and got—the job. It was in that role that her D&I journey would flourish both professionally and personally. She helped create a multi-year, global D&I strategy, a D&I council, and a number of strategic programs. But that’s not all. Taylor realized to answer that question she needed to be more honest with herself and others in her personal life, and she made the choice to come out as a lesbian, end a long-term relationship with a male partner, and begin her journey as a single mom of two kids. It was a difficult time—but a necessary step in her own self-discovery. 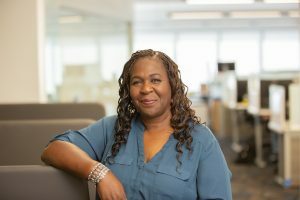 After five years managing D&I at Cisco she accepted a senior diversity leader position at Genentech, where she was later promoted to head of diversity, inclusion, and innovation. Her work there included serving as a strategist and business partner to large global organizations, developing multi-year D&I strategies and initiatives, and creating programs for diverse emerging leaders. Late last year, Taylor accepted the position as chief diversity officer at Workday. “When we lead with curiosity and empathy, we can quickly appreciate the power in the difference that we all bring to workplace,” says Carin Taylor. So how do you get people across an organization to think and talk about D&I? Start with the notion that everyone is diverse, and don’t limit the concept to people who are typically defined as minorities or underrepresented groups, Taylor says. Your efforts have to be inclusive of all people.